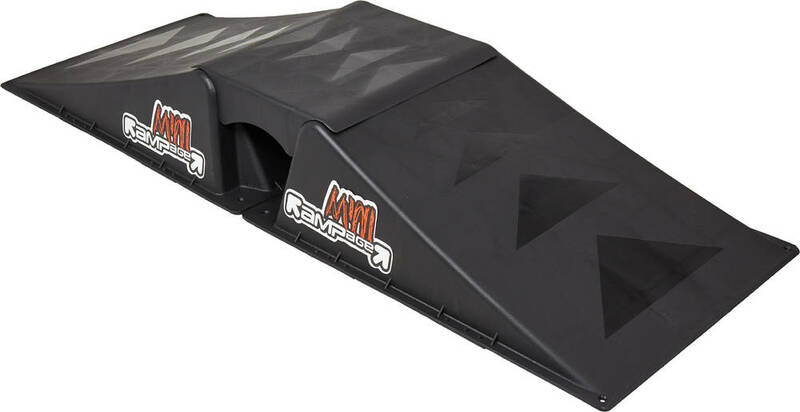 Rampage Mini Airbox consists of two Launch Ramps connected by a bridge. The connecting bridge measures 25cm in length. Thanks to the lightweight and stiff structure you can move this skate ramp around. But you always have the option of bolting it firmly to the ground to help keep it in place. Injection molded hi-impact resistant polyethylene.